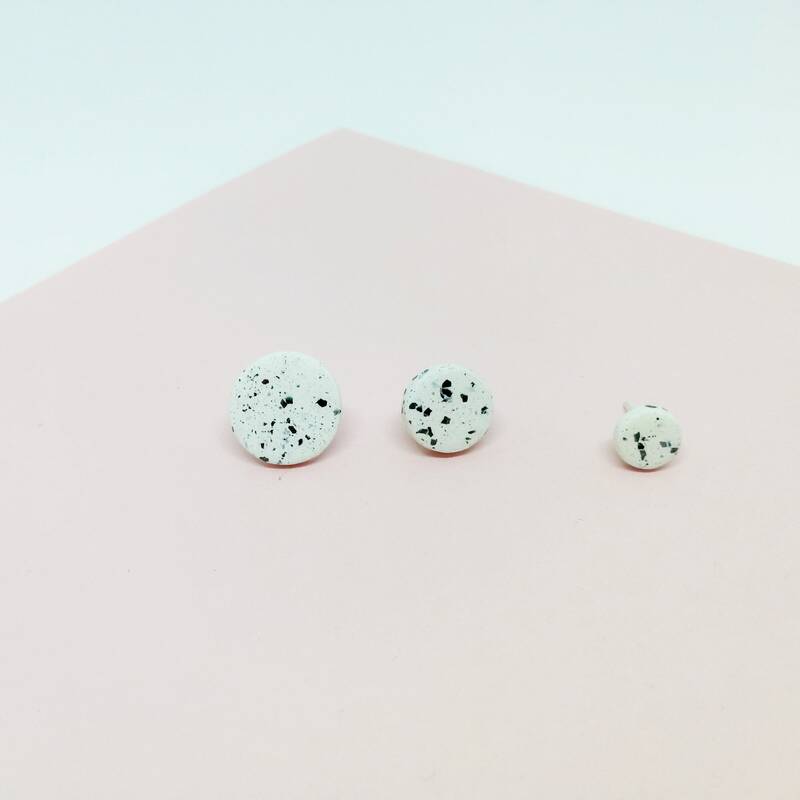 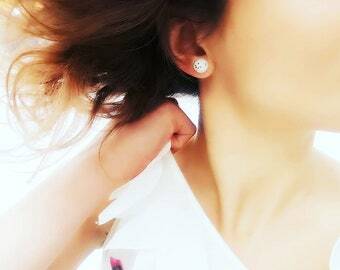 These white round stud earrings were made from Italian stoneware clay and fired twice in a ceramic kiln. 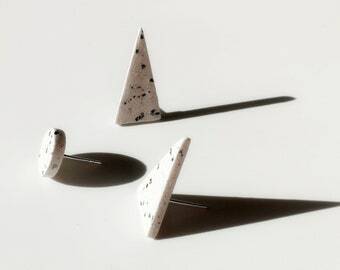 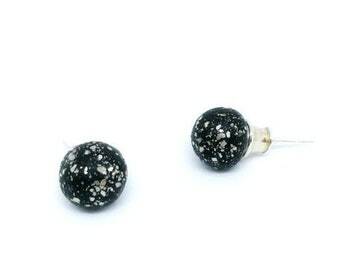 Ceramic studs are mounted on sterling silver 925 posts with silver backs. 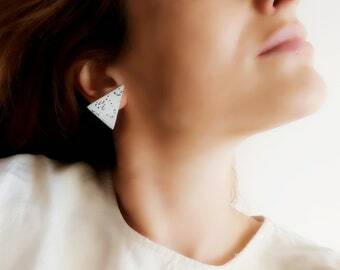 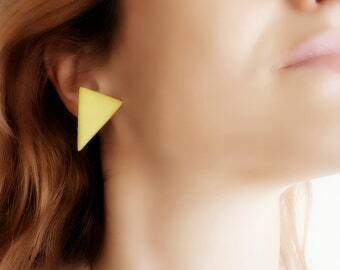 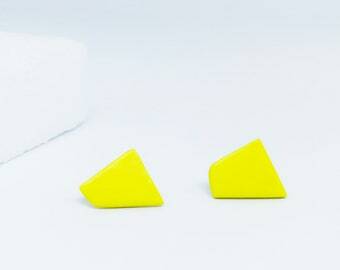 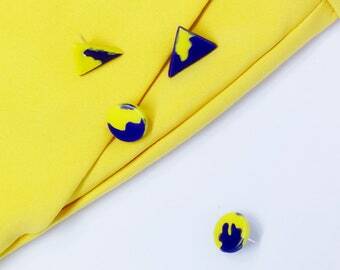 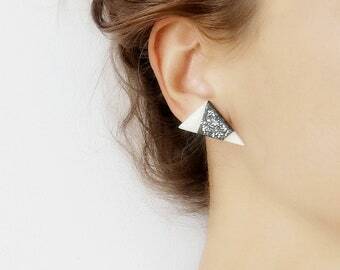 These geometric minimalist earrings are carefully made by hand. 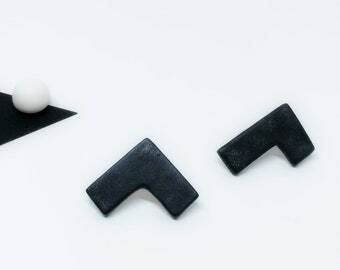 I'm not using any forms or moulds so every piece is unique. 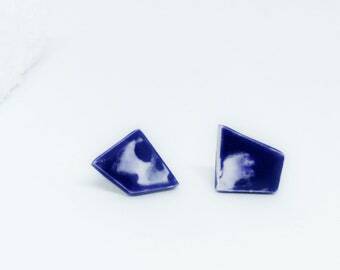 These earrings are 'made to order', however I usually have a couple of very similar pairs in stock ready to ship! 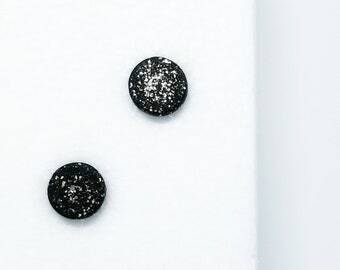 Making to order light variations in size ant color pattern may occur. Quality ceramic earrings that have a nice texture. 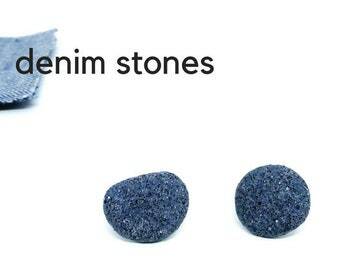 Amazing customer service!